I have been preparing Powers of Attorney for over 25 years as a Solicitor for people just like you. MyScottishAttorney offers you all that knowledge and expertise online in a convenient, confidential and inexpensive way. I have been providing online legal services since the year 2000. In addition, my online divorce service www.MyScottishDivorce.co.uk, which featured on STV, Reporting Scotland and Radio Scotland commenced in 2009. Speed-if you start now, with everybody's details, you will have the Power of Attorney within the next hour and, in addition, after the certification process, you will be able to register it electronically. No other service offers such speed. You can do it for your parents. Security - no money is requested until you are quite satisfied. Your wishes are set out and confirmed to you before you commit yourself. Fixed, inexpensive costs - only £99 for a continuing and welfare power of attorney. In addition, both with ourselves and solicitors, you will have to pay the registration fee of £77. 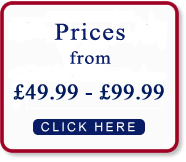 Solicitors fees vary but you might expect to pay over £300, once VAT is added. 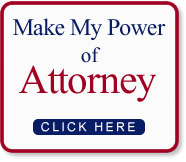 Free information - this website is packed full of information about why you should make a Power of Attorney, how it works, the legal jargon and a frequently asked questions page.